The tour is blessed with all the natural faculties which could besiege the heart and minds of travellers at a short glimpse. This 12 day long voyage begins with a bang at the city of Indian Film Industry-Mumbai and proceeds towards the quaint environs of palm fringed beaches of Kerala. National Geographic places Kerala in "One of the 50 greatest destinations list". Travel & Leisure recommends Kerala as "One of the 100 great trips for the 21st century". Once the object of frenzied international attempts to control its lucrative spice trade-ancient Greeks and Romans, medieval Arabs and Chinese and later the Portuguese, Dutch and British all left their mark on the Malabar Coast, its beaches, tranquil backwaters and the distant backdrop of the verdant Western Ghats now exert a magnetic appeal upon the traveller of today. 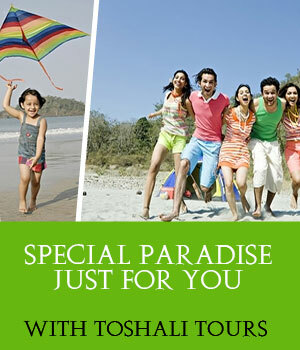 Destination Covered : Mumbai - Kochi - Munnar - Thekkady - Varkala - Kovalam - Trivandrum - Mumbai. Arrival at Mumbai Airport and receive traditional welcome. Morning at leisure. In the afternoon a tour of Mumbai will introduce some of the great historic sites, shopping arcades and peppy beaches. Early morning flight to Cochin. Afternoon visit to Chinese fishing nets, Jewish synagogues, Portuguese churches and Hindu temples. This morning you drive to Munnar. Set on a sightseeing excursion visiting Mattupetty Lake and Rajmala. O/N stay in Abad Copper Castle. Take morning drive to tea plantations of Devikulam and to Periyar National Park for game viewing in the afternoon. Morning drive down through tea and rubber plantations to reach tranquil Kumarakom. Afternoon at leisure. Let yourself loose amidst the enchanting panorama that surrounds you on a traditional houseboat. After disembarking at Quilon drive the short distance south to town of Varkala. Afternoon at leisure. Proceed to Kovalam. Day at leisure. Enjoy the sun, golden sand and the beach. Also indulge in some revitalizing Ayurveda massages on the beach. Afternoon drive to Trivandrum for the flight to Mumbai, late afternoon arrival and transfer to the international airport for your late-night flight to home.